If there’s anything car owners everywhere can agree on, it’s that no one wants to pay for new tires earlier than they have to. If the tire isn’t flat and the weather isn’t hostile, the extra cost doesn’t seem necessary. But tires play an important role in helping your car safely grip the road, and compromising on that safety isn’t worth the money you’re saving. If you notice any of the following signs, it’s time to open your wallet and bounce for new car tires. Depth Gauge – This is the most trusted method used by the majority of mechanics. You can usually pick one of these up at your local auto parts shop for a couple bucks. Indicator Bars – These days, tires have been designed with an obvious indicator for owners. Indicator bars in the tire’s tread typically run perpendicular to the tread itself and will become increasingly noticeable as the tire wears. Once you see a handful of bars, you know it’s time. Pennies from Heaven – Actually, you only need one penny to use this age-old trick rumored to be developed by Abraham Lincoln himself. Slide a shiny penny head-first into a couple grooves around each tire. If Lincoln’s hair is visible, the tread is too shallow. Noticeable Cracks: Cracks in the rubber can be an early sign that your tire is ready to blow, or at least begin leaking. Cracks are not uncommon in regions with extreme temperatures. If you see any evident fractures along the sidewall or even between the treads, don’t wait any longer. Lumps: When the tire’s surface weakens, bulges and blisters will become visible as they rise from the rubber. These spots can quickly spread to the rest of the tire and compromise its durability. Old Age: Even if you’ve kept your tires in pristine condition, they still can’t escape Father Time. 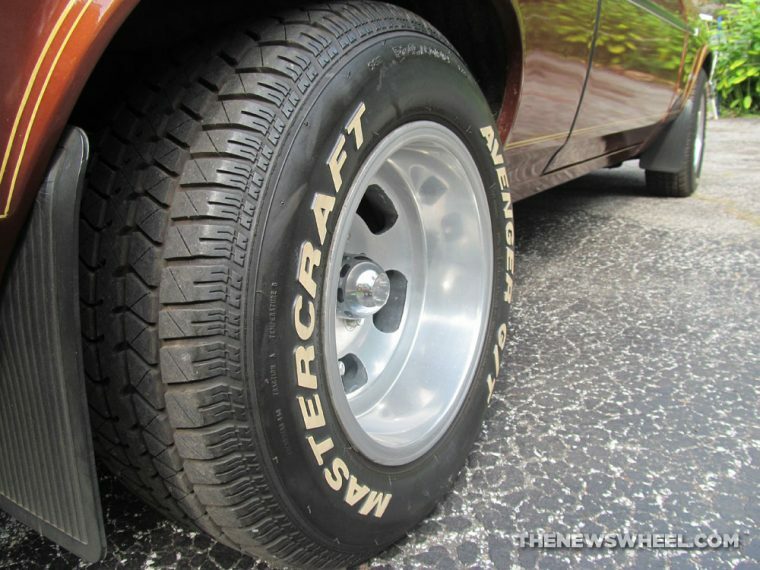 As the rubber will naturally dry out, crack, and wear itself thin over time, the NHTSA suggests getting new tires every six years, while tire manufacturers suggest no longer than 10 years. In the end, if you’re not sure, take your car to a professional to have the tires evaluated. For the sake of your car, and your own safety, it’s worth the time.